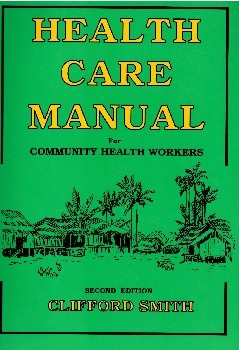 Health Care Manual for Community Workers in PNG - 3rd edition "HCM3"
Community Health Workers (CHWs) in Papua New Guinea are vital for providing primary health care to the people. They are a first point of contact for those who need health care, and in rural and remote areas they are often the only available source of medical assistance and health education for the community. The late Dr Clifford Smith was the author of The Health Care Manual (1st & 2nd editions). This 800-page manual is specific to PNG primary health care needs and is widely respected and well-known in PNG. It has been used as key text for CHW training schools, to underpin CHW training materials, and as an ongoing practice manual in the field. However the Health Care Manual currently in use has not been updated in 20 years, and therefore much of the information is out-of-date and not in line with current practices and protocols. It has also been out of print for many years, with relatively few copies still in circulation, making it difficult for CHWs to access this essential information. 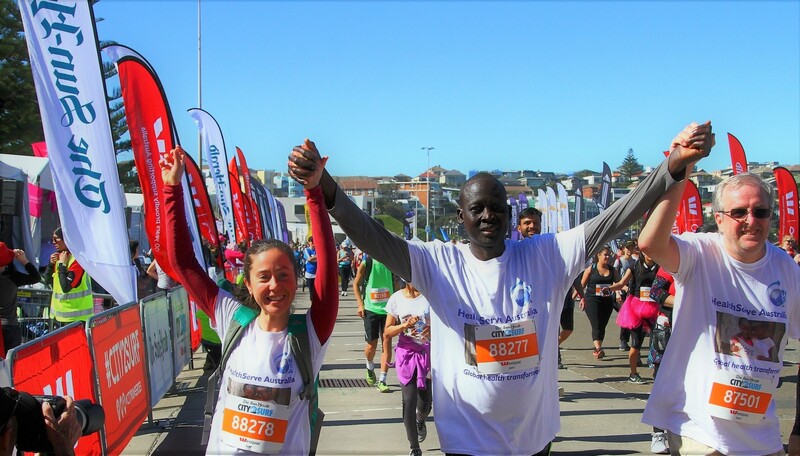 In late 2012 HealthServe Australia developed the Health Care Manual Feasibility Project to advocate for the development of the 3rd Edition of the manual. HealthServe’s fundraising efforts, strongly supported by Terrigal Uniting Church, assisted the late Dr Clifford Smith to conduct several feasibility visits to PNG where he made contact with many stakeholders in an effort to secure support, endorsement and funding. Dr Smith achieved project endorsement at the annual Christian Health Services Conference in 2013 and agreement by Baptist Union Papua New Guinea (BUPNG) to be the lead agency for the project however funding was not able to be achieved at that time. Just prior to his death in Feb 2015, Dr Clifford Smith endorsed Dr John Oakley to take over his role as Commissioning Editor. Upholding Cliff’s legacy and with the support of HealthServe Australia, Dr John Oakley, Roslyn Copas (AusVoc Educational Publishing who had advocated for the project since 2007) and Gerri Koelma (Monitoring and Evaluation Adviser who had assisted Cliff develop project proposals since 2012) formed the ‘HCM3 Project Management Team’ and met with BUPNG in Port Moresby in June 2015. In faith, BUPNG then commenced the HCM3 project. Planned Project Term: June 2015 - June 2018. Joyce Melepia was appointed to the Project Management Team as the in-country Project Manager, based in Mt Hagen. Joyce does an amazing job in managing the project and maintaining key stakeholder relationships. HealthServe Australia became a technical partner to the HCM3 project. 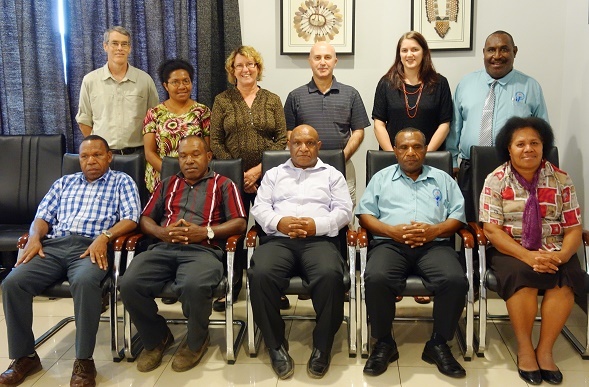 The project achieved the endorsement and support of key stakeholders in PNG, including the Church Partnership Program (CPP), Christian Health Services (CHS), the PNG National Department of Health (NDoH), and Australian Department of Foreign Affairs and Trade (DFAT). Prayers were answered when the project received funding for the whole of Year 1 and substantial funding for Year 2 from CPP, CHS, and NDoH. All planned outcomes for Year 1 were achieved. 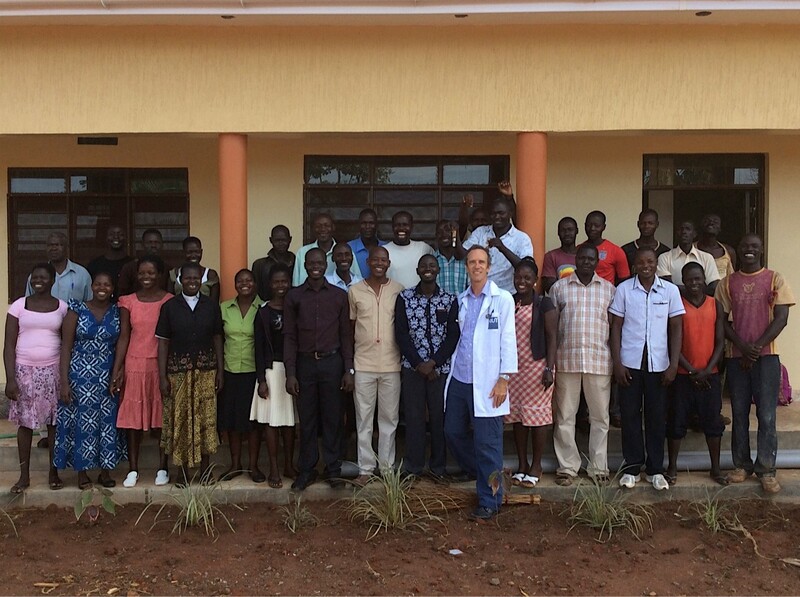 In June 2016 consultation workshops with Community Health Workers from the field and teaching in training schools were held in each of the four health districts. The information obtained will assist to inform HCM3 content development. We give glory to God that the HCM3 project is now halfway through Year 2! The first drafts of HCM3 are now in progress and planned activities are on track. Further financial contributions have been committed by the churches in PNG. To develop a fully revised and updated 3rd edition of the Health Care Manual (HCM3), based on current health care information and suitable for use by Community Health Workers (CHWs) to meet PNG health standards. To distribute 15,000 free copies of HCM3 to all CHW training schools and CHWs across PNG. To build knowledge and skills of publishing processes for all involved in the project. The project will take three years from mid-2015 to mid-2018 to enable involvement and endorsement by the relevant parties in PNG. The total project investment will be PGK 3.75m (AUD 1.67m). CHWs are vital for providing primary health care to the people. They are a first point of contact for those who need health care, and in rural and remote areas they are often the only available source of medical assistance and health education for the community. 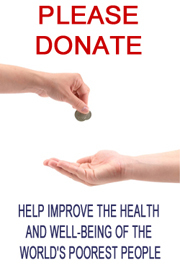 CHWs greatly value the Health Care Manual as a practical resource. The Health Care Manual has not been updated in 20 years, and is out-of-date, and out-of-print. The HCM3 project is led by the Baptist Union of Papua New Guinea (BUPNG), and supported by its Project Management Team. Key stakeholders supporting the project include the Church Partnership Program (CPP), Christian Health Services (CHS), the National Department of Health (NDoH), and the Australian Government (DFAT). Development and review of the HCM3 chapter content continues. To date 34 writers have been tasked for 52 chapters (with 46 chapter drafts delivered); and 38 chapters have so far been revised or drafted by project team members. Many subject matter experts (approximately 40) have also been consulted by writers and the project team. These processes will continue in an intense effort now to complete drafts of the remaining chapters. There is a huge volume of work to do for a book of this size and scale.  Once the writing of all chapters is completed, and the Technical Review Panel has completed reviews of the content of all of the chapters, then the editing, publishing and production stages will reach their peak activity levels to finalise the book for printing and release.